The 75 m² apartment is situated on the 2nd floor and has two beautiful balconies which run the entire length of the apartment. One balcony faces south and has an unobstructed view of the Hartkaiser and the ski runs of the Skiwelt-Wilder Kaiser-Brixental. 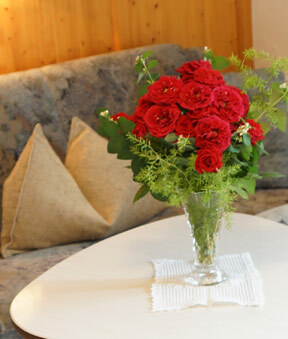 The 2nd balcony faces north and has a breathtaking view of the Wilder Kaiser mountains. The apartment has 3 bedrooms, 2 double rooms & 1 single room with place for 5-6 Persons (with extra bed or baby bed), living room, kitchen, dining area, bathroom/WC, entrance hall, satellite TV and Wi-Fi (free). The kitchen is fully equipped with modern appliances (incl. dishwasher and microwave). The large bathroom has a shower, extra bath, and a separate toilet. Every bedroom has its own wash basin. 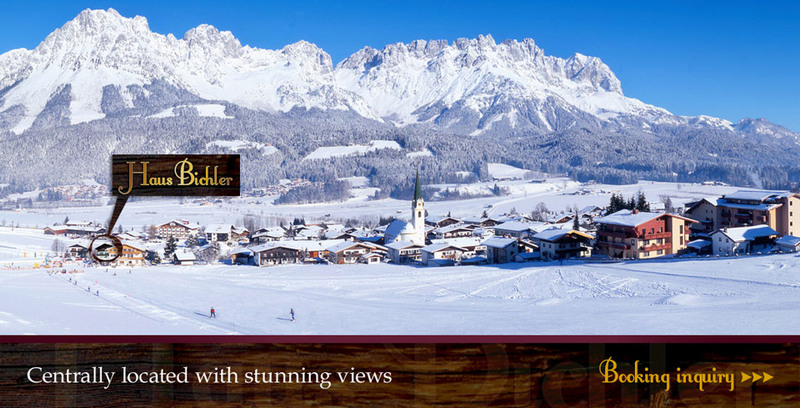 House Bichler also has a ski room with boot dryer, parking places, a large terrace with an unobstructed view of the Wilder Kaiser, and a cosy breakfast room and lounge area. Children discounts available by request.